The Pet Maven's blog was created to help provide animal caregivers the ultimate in peace of mind for cat sitting and pet grooming through a house call solution. We're gearing up for the holidays here at The Pet Maven, and we thought we'd share a few of our favorite reasons why hiring an in-home cat sitter is the best idea for your cats. - The cat will be safe from exposure to colds, kennel cough, ringworm and more that they might be subject to picking up in a boarding facility. For a more complete list of the benefits for your cat and for you, please visit the National Association of Professional Pet-Sitters' website. Spring is definitely in the air, and those of us who suffer from seasonal allergies are probably more aware of this than many. But did you know that pets can get seasonal allergies, too? 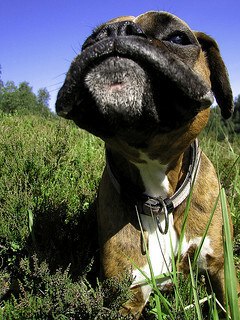 The good news is that a lot of the same things that help with your seasonal allergies, will also help your pet. Frequent baths and keeping sleeping areas clean and laundered will help reduce both pollen and dust mites. Air purifiers and vacuums equipped with HEPA filters are also very useful for zapping allergens away. Make sure you see your vet if your pets' allergies seem very severe. If you find signs of fur loss and skin inflammation, it's probably time for medication. Many pets can take the same over the counter medications humans do, but in much smaller doses, and only your vet can make a safe dosage recommendations based on your pet's size and health. Do you have an anxious dog?